Mercia 6 x 4 Shiplap Pent Shed Single Door: The Mercia shiplap shed is a great outdoor storage space for limited garden spaces, which features a high quality finish but great value for money. The Mercia pent shed also features a 10mm solid sheet floor, 8mm solid sheet roof and 28x28mm framing to ensure it is sturdy and fit for purpose. 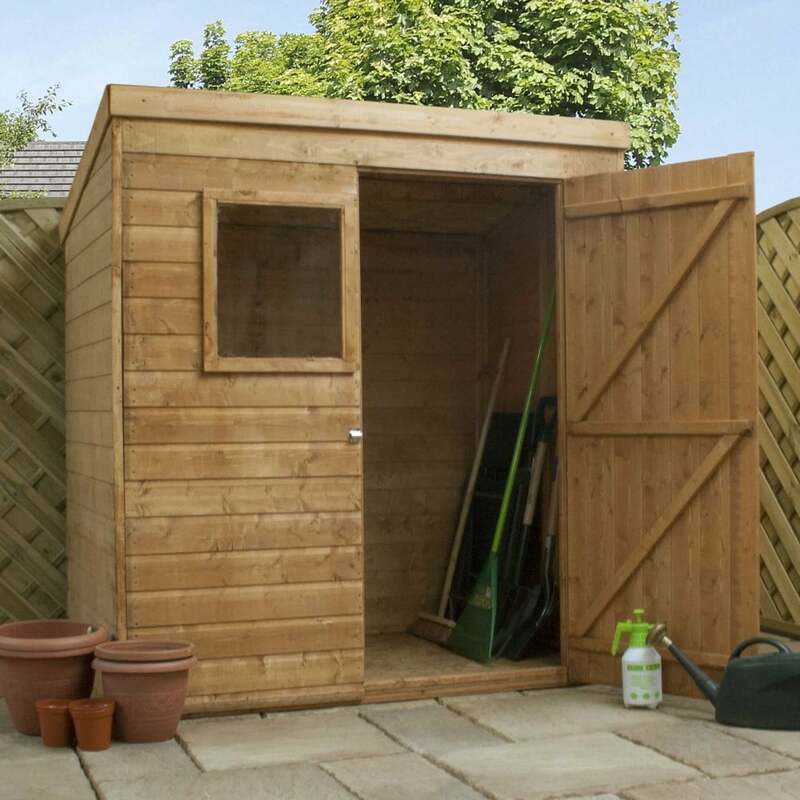 The Mercia 6 x 4 garden shed is crafted from 12mm shiplap cladding which is interlocking tongue and groove panels to help prevent rain water penetrating the building. The Mercia shiplap shed is delivered flat packed for easy self-assembly.